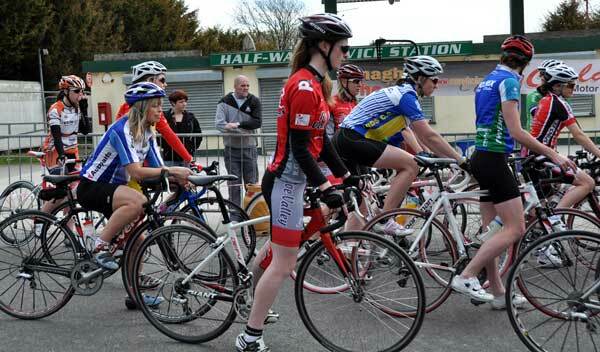 Rás Dhun na nGall 2011 – Women’s category for this year! When people say Rás Dhun na nGall, hosted by Four Masters Cycling Club, is the hardest stage race in Ireland I have got to admit they are pretty much 100% right. Last year I embarked upon the race after only 3 months of racing, most thought I had lost leave of my senses but for those who really knew me they were not surprised. It was the hardest race I competed in last year but equally the one I gained the most satisfaction from finishing. The Women’s Commission of Cycling Ireland is pleased to announce the first in a series of training days which takes place on Saturday 28th May in the Annebrook Hotel, Mullingar. All abilities are welcome – from beginner to elite. The format of the training day will be a coached training spin followed by a full debrief, after lunch there will be a number of talks on relevant topics. Ciara Mulholland continued to show great form by sprinting to victory in the third round of the Sportactive UWA Road Race league hosted by Omagh Wheelers at Seskinore. Twenty women took to the start line, with a limit group of 6 riders getting a three minute lead on the scratch group. The race was held over three tough lumpy laps of a 10 mile loop, and the pace was high from the outset.